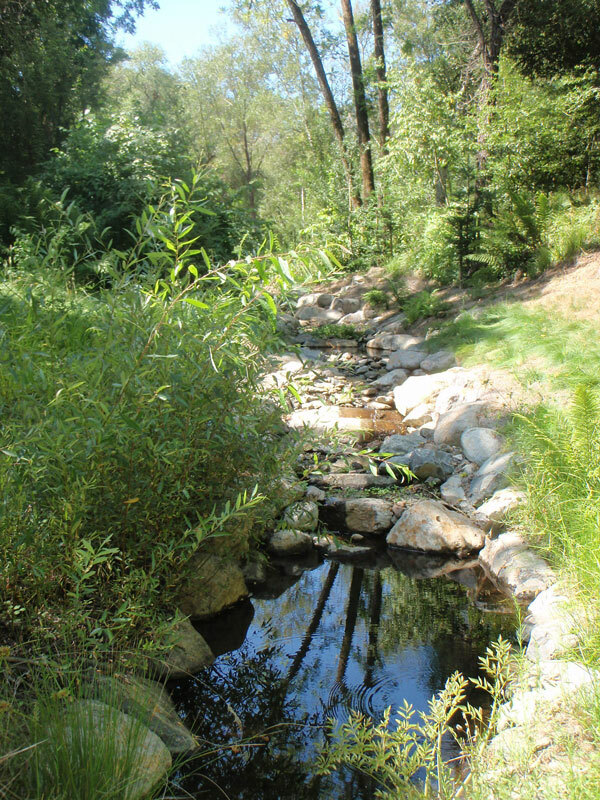 Dehlinger Winery Wetland Restoration | Prunuske Chatham, Inc.
Based on the success of a previous stream stabilization project for the same client, PCI was hired to design and implement wetland restoration on the Dehlinger Winery property. 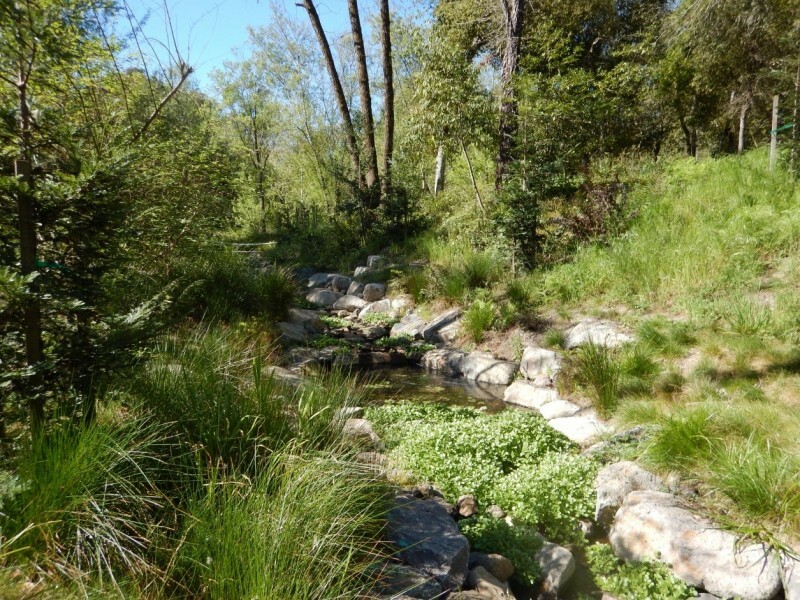 The goal of the project was to protect and enhance a seasonal wetland on the property, where an eroding complex of gullies was lowering the water table of the adjacent wetland and releasing sediment into a tributary of the Laguna de Santa Rosa. 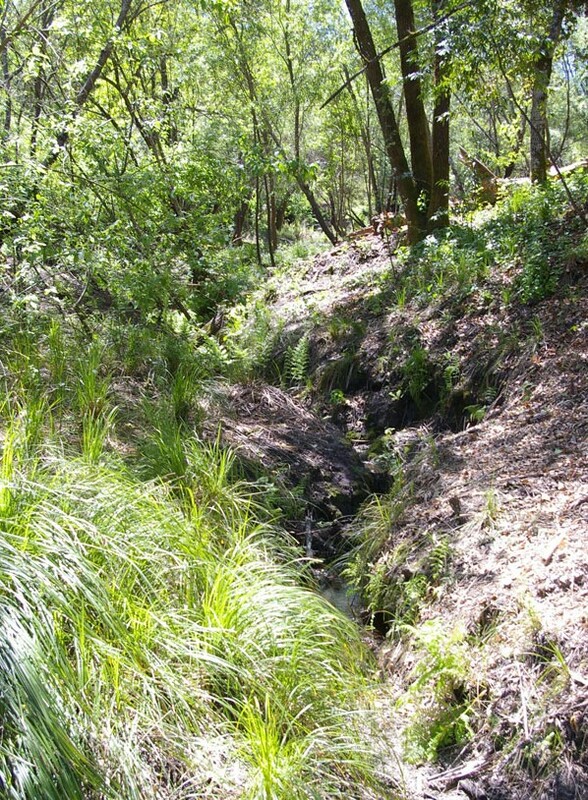 The project was designed to preserve the wetland by partially filling the eroding gullies to raise the water table; stabilize headcuts and severe nickpoints with rock grade control structures including a rock weir, rock ramp, and fabric-reinforced earth fill; and gradually step down the channel by constructing a roughened riffle in the downstream area using rock bands. Designs were prepared in 2012, and PCI constructed the project in 2013. The woodland and seasonal wetlands areas were then planted in early 2014 with a diverse multi-layered suite of native species.